Or view larger version. Untitled. 1937. Unknown photographer. Gelatin silver print. Collection of Oakland Museum of California. The Oakland Tribune Collection. Gift of Alameda Newspaper Group. 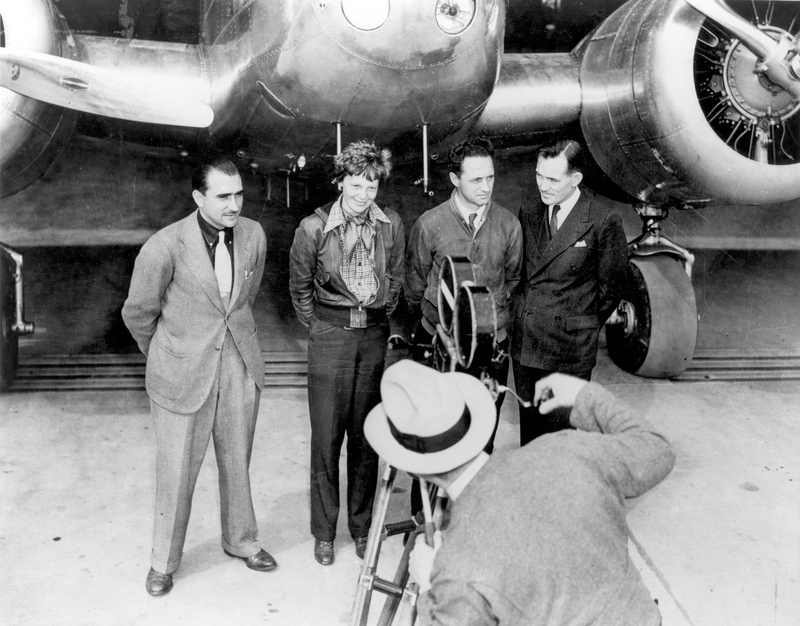 This is a photograph of Amelia Earhart standing with Paul Mantz, Harry Manning and Fred Noonan at the Oakland Airport in 1937. Several months after this photo was taken, Miss Earhart and navigator Noonan were lost in the Pacific during an around-the-world flight. Had Miss Earhart successfully completed the flight she would have been the first woman in history to pilot a plane around-the-world at the equator.